Due to the advancement in various sequencing technologies, the gap between the number of protein sequences and the number of experimental protein structures is ever increasing. Community-wide initiatives like CASP have resulted in considerable efforts in the development of computational methods to accurately model protein structures from sequences. Sequence-based prediction of super-secondary structure has direct application in protein structure prediction, and there have been significant efforts in the prediction of super-secondary structure in the last decade. In this chapter, we first introduce the protein structure prediction problem and highlight some of the important progress in the field of protein structure prediction. Next, we discuss recent methods for the prediction of super-secondary structures. 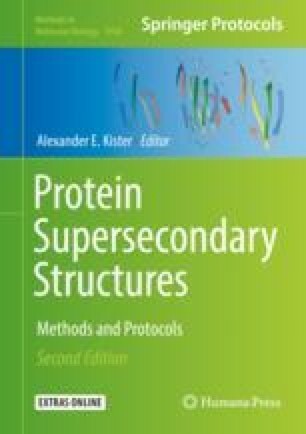 Finally, we discuss applications of super-secondary structure prediction in structure prediction/analysis of proteins. We also discuss prediction of protein structures that are composed of simple super-secondary structure repeats and protein structures that are composed of complex super-secondary structure repeats. Finally, we also discuss the recent trends in the field. D.B.K.C. is partly supported by a start-up grant from the Department of Computational Science and Engineering at North Carolina A&T State University. D.B.K.C. is also partly supported by NSF grant no. 1564606 and NSF grant no. 1647884.